You will have a lot experience as a customer already. But what is a customer? And what is the difference between a customer and a consumer? A customer buys from you, shops from you. A client is someone who buys from a shop, a website, a business, and increasingly, another client. Think about Ebay or Amazon exchange. The basic difference is that whereas a customer purchases or obtains a product, service, or idea, your consumer uses it. To illustrate the example, consider the online U24Business Business English coaching course you are enrolled on, assuming you are using this blog as an aid to learning on the course. Did you pay your course fees yourself? Or maybe your company? Or your parents? Or did somebody else pay for them? If you did pay the fees yourself, you are the customer. But you make use of, and study for, the U24Business Business English course. So you are the consumer. 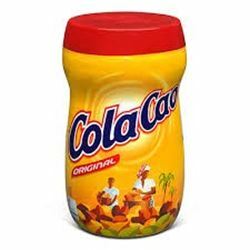 Another example is Cola Cao, the high-energy chocolate drink with vitamins and minerals that originated in Spain. In this case, the customer is the chief shopper, the mother/father, or guardian, and the consumer is the child. The customer can be the same person. So how close to the customer should your business or company aim to be? This is the principle of marketing orientation. Developing a market orientation is argued to make organizations more profitable, especially when there is limited competition, unchanging customer wants and needs, fast paced technological change and strong economies in operation. ► Customer orientation – concerned with creating superior value by continuosly developing and redeveloping product and service offerings to meet customer needs. So you have to measure customer satisfaction on a continuous basis and train and develop front-line service staff accordingly. ►Competitor orientation – as a company or organization you have to develop a real understanding of your competitors’ short-term strengths and weaknesses, its lont-term capabilities and strategies. ► Interfunctional coordination – requiring all the functions of an organization to work together to achieve the above for long term profit. The advantage of achieving a market orientation is that your company will be internally responsive to changes in the marketplace. To be honest, not all companies can do this. They might talk about it. But developing a market orientation is a capability. 1) Can you think of an example in your business where customers are different to consumers? 2) Is your company developing a market orientation? Discussion. Anyway, if you are not one of our customers already, we would love to engage in conversation about your market orientation or helping your business to improve your English communication skills as an organization. Please leave your comment and share your post. Book a no obligation free Business English session now.